Today, Apple has seen fit to release the fourth beta of its upcoming macOS High Sierra 10.13.1 and tvOS 11.1 to developers for testing purposes. 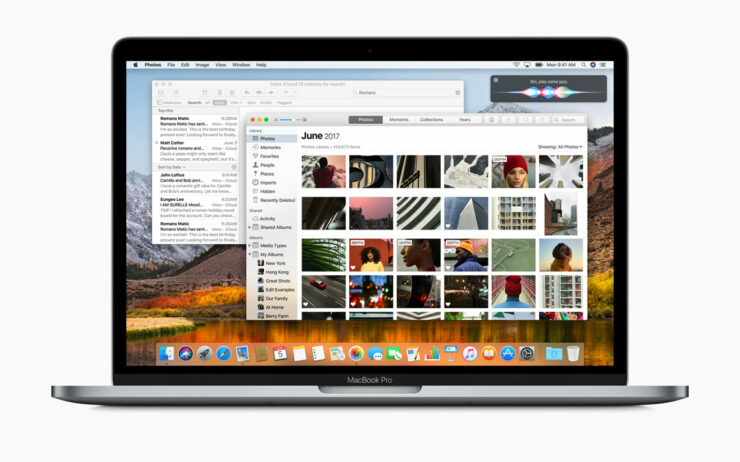 The update comes less than a week after the company rolled out the third beta of macOS 10.13.1. Apple announced its macOS High Sierra and tvOS 11 at the WWDC event this year. The operating systems boast a bevy of new additions complementing both visual aspects as well as in the performance department. So let’s dive in to see some more details on the beta 4 of macOS High Sierra 10.13.1 and tvOS 11.1. At the time of publication, there are no new forward-facing features discovered in the macOS 10.13.1 beta update. However, we will let you guys know as soon as something is found. At this point in time, we can say that the update focuses on bug fixes and performance enhancements as well as security updates and other under the hood changes. However, it does patch a pretty serious exploit in the WPA2 Wi-Fi standard that protects various modern Wi-Fi networks. Hackers can gain access to a vulnerability in WPA2 protocol in order to decrypt network traffic and steal sensitive data. Apart from this, the update also includes a ton of Unicode emoji and more. If you’re interested in checking out the beta 4 of macOS High Sierra 10.13.1, it can be downloaded from the Apple Developer Center as well as the Software Update mechanism in the Mac App Store. Do make sure that a proper profile is installed on your device. Moving on to tvOS 11.1, the beta 4 is available for registered developers and if you want to download it to your set-top box, it can be done via a profile installed through the Xcode. Overall, the tvOS 11 was a pretty minor upgrade. Nonetheless, it did feature support for AirPods as well as the ability to automatically shift between light and dark themes. At this point in time, no new major addition is discovered. Primarily, the tvOS 11.1 beta 4 focuses on minor bug fixes and performance enhancements. There will be more to the story, so be sure to stay tuned in for more details. We will let you guys know as soon as we hear anything new in the beta update. This is it for now, folks. What are your thoughts on the macOS High Sierra 10.13.1 beta 4 and tvOS 11.1 beta 4 update? Share your views with us in the comments.